Southern Africa has much to offer the discerning traveller; from world class accommodation, to sublime bushveld experiences, stunning sea-side escapes and majestic mountain highs. This is our Royal Experience – a magical journey of exploration where you will spend twelve glorious days discovering the most exquisite jewels in Southern Africa’s crown. Upon arrival at Johannesburg International Airport, you will be met by a friendly African Fairways representative. They will assist you onto a scheduled flight to Hoedspruit Airport where you will be collected and transferred to Royal Malewane (scheduled transfer of approximately 35 minutes). Your stay at Royal Malewane is an intensely personal and spiritual journey which will leave an indelible impression in your memory and a yearning to return in your heart. Set deep in the African bush, on a private reserve within the Greater Kruger, Royal Malewane offers visitors the thrill of an intimate game viewing experience and up-close sightings of the Big Five. Accommodation at Royal Malewane is three nights in a Luxury Suite on a full board basis including; local beverages, scheduled game activities and laundry. Early mornings and late afternoon’s are the best times to catch the magnificent wildlife as they move towards the water holes throughout the reserve. With luck (and the tracking skills of experienced guides), you’ll spot the Big Five. At Royal Malewane, you enjoy the luxury of private guided tours through the bushveld, in Land Rovers and on foot. Optional: Visit to the Cheetah Project or Wildlife Rehabilitation Centre. 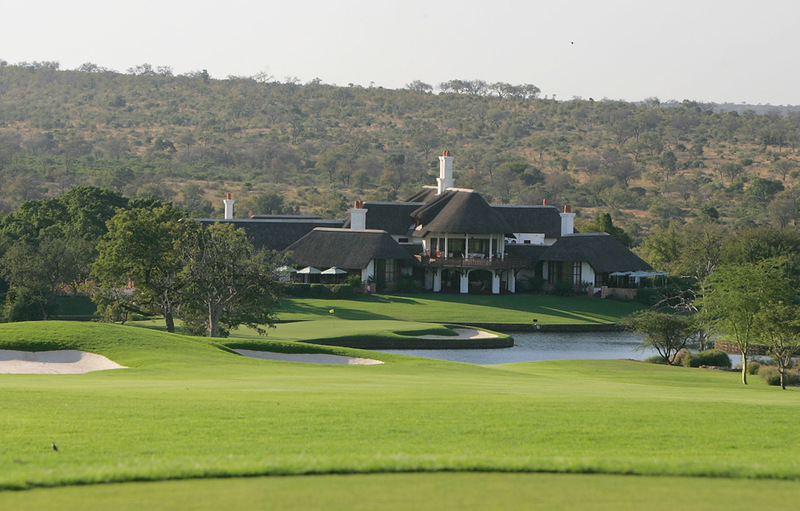 During your stay at Royal Malewane, you will have the privilege of playing on South Africa’s number 1 course at Leopard Creek Country Club, home to the Alfred Dunhill Championship. The road transfer is approximately 3 hours or a helicopter transfer can be arranged. Set under the great African sky, bordering the Kruger National Park in the heart of Mpumalanga, Leopard Creek will tick all the boxes on your list of the ideal golf course. 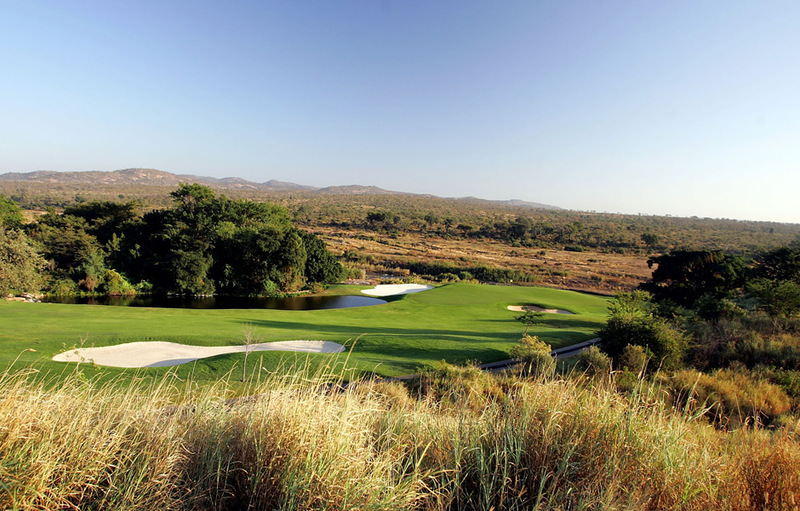 This course (designed by Johann Rupert and Gary Player) was specially created to complement and enhance its natural surroundings and provides an enjoyable and stimulating challenge for all levels of players. The Spa at Royal Malewane is surrounded by the untamed African bushveld, The Waters of Royal Malewane Bush Spa soothes your soul and refreshes and revitalises your body and spirit in a setting of stillness and tranquillity. As part of your Royal Experience, you will enjoy a complimentary 30-minute back and neck massage at this world class spa. After your last early morning game activity, you will be transferred back to Hoedspruit Airport where you will board a scheduled flight to Cape Town International Airport. You will be met by one of our wonderful representatives who will assist you with a scenic 90 minute private transfer to the Birkenhead House in the picturesque seaside village of Hermanus. Hermanus is the whale capital of South Africa so be sure to keep a look out for these magnificent giants of the deep. Birkenhead House is a magnificent Victorian recreation perched high upon the cliffs of Hermanus. Here you’ll unwind in your Victorian bath tub and slip into dreamland in the king-size Louis Farouk antique bed – the focal point in your palatial guest suite. In the morning, start your day slowly, enjoying your tea as you gaze in awe at the splendorous ocean views. Birkenhead’s commitment to providing guests with a truly unforgettable experience has lead to international acclaim and numerous prestigious awards. You will be spending three luxurious nights, in a Standard Room, on a full board basis including local beverages and laundry. The exquisite Arabella Country Club’s golf course has striking views over the Bot River lagoon and the Kogelberg Mountain Range. Designed by the renowned Peter Matkovich, this links/ parklands course is currently ranked 4th on the Golf Digest Top 100 for 2012. Arabella is simply the ultimate destination for those with a true passion for golf to experience one of South Africa’s most spectacular Par 5’s and end their round on one of the finest finishing holes in the country. Spa treatments, Birkenhead Brewery Tours, Cheese tasting Tour, guided nature walks, Grootbos Private Nature Reserve, Quad-biking, Shark cage diving, Tour of Hermanus, Whale Watching and botanical tours at Dyer Island, Wine route tours or relax on the beach. A scenic and breathtaking country drive of roughly 90 minutes takes you through Sir Lowry’s Pass and Houwhoek Pass, where you will reach heights of 420 metres above sea level and enter into the famous Cape Winelands. Here you will spend three nights in lavish opulence at the magnificent La Residence in a Luxury Room, on a full board basis including local beverages and laundry. The uncomplicated exteriors of this Cape Provencal country house, situated on a 30-acre estate in the Franschhoek Valley, give little hint of the exquisitely opulent interiors of this five-star boutique hotel. From its chequered marble floors, to its cathedral-style ceilings, luxurious fabrics, period antiques and resplendent crystal chandeliers – La Residence is an exceptionally romantic and indulgent paradise. 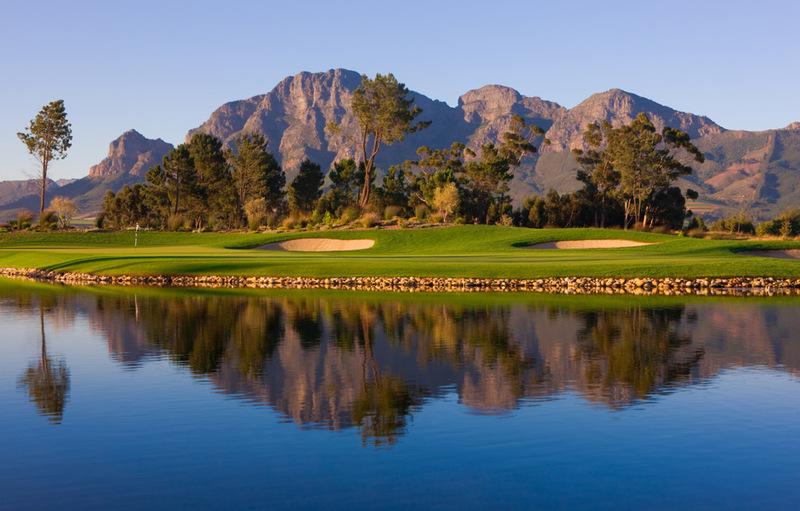 During your stay in the Winelands you will experience the pleasure of playing at Pearl Valley Golf Club, a precious gem hidden between the Simonsberg and Drakenstein Mountains. 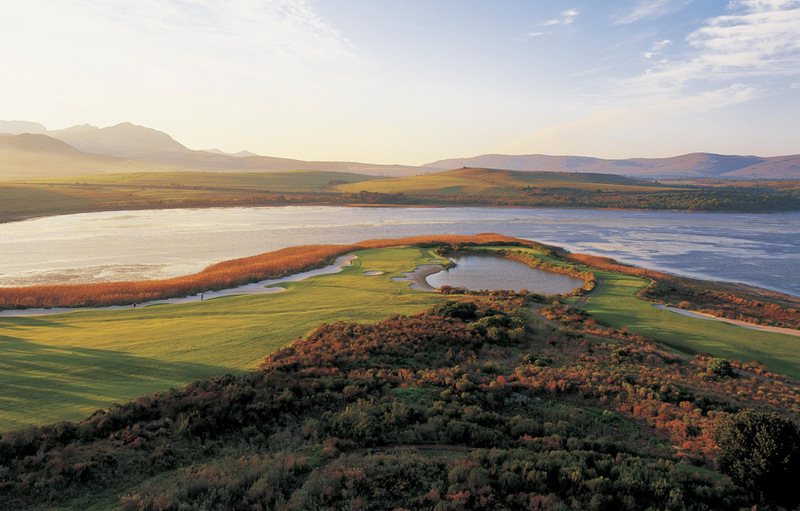 Designed by the legendary Golden Bear, Jack Nicklaus, there was no compromise in layout and design of this magnificent course and it holds true to its promise of an exceptional round of golf. 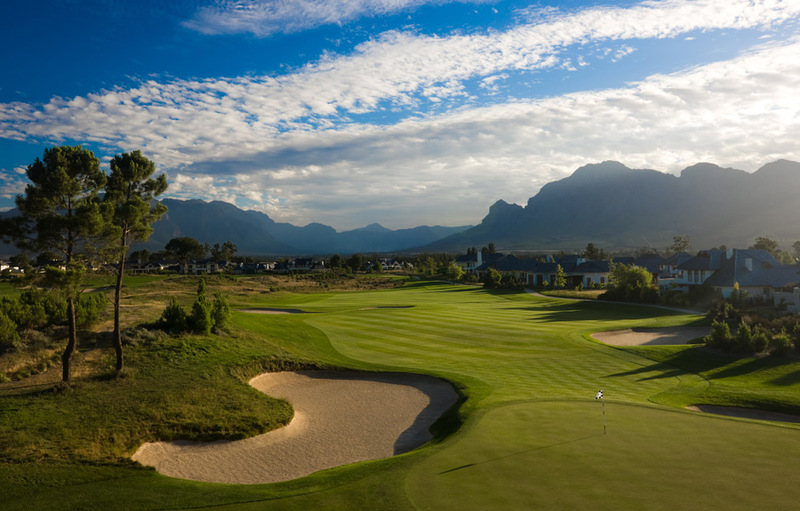 It is easy to see why Pearl Valley Golf Club is ranked 5th in “South Africa’s 100 Greatest Golf Courses” and as the 4th “Best Conditioned Course in South Africa” by Golf Digest in 2012. The rest of your day is at leisure. There is a veritable plethora of wine farms along the wine route, opt for the more renowned producers or stumble across a hidden gem at one of the smaller boutique estates. This area is also known as the Brandy Route and is home to Van Ryn’s Distillery near Stellenbosch – their 20 year old luxury Potstill was officially nominated as the World’s Best Brandy at the international Wine & Spirit Awards for 2011. For motoring enthusiasts the Franschhoek Motor Museum provides an insight into over 100 years of motoring history. A private road transfer of approximately an hour takes you to Cape Town where you will spend the next three nights in a Luxury Room at the Cape Grace hotel on a bed and breakfast basis. Situated on its own private quay in Cape Town’s V&A Waterfront, the Cape Grace has stunning views of Table Mountain, the international yacht marina and the working docklands of Cape Town’s harbour. Her elegant and stylish interiors pay homage to Cape Town’s heritage and her gastronomic temptations are plentiful. While the location is inspiring and the amenities plentiful, it’s the service excellence that is the hallmark of the Cape Grace experience. Guests will return time and again for remarkably memorable experiences. Time in the cosmopolitan ‘Mother City’ is always well spent. Some of the highlights and attractions include a tour of the peninsula, the glittering beaches of Camps Bay and Clifton, Robben Island where Nelson Mandela was once exiled and Table Mountain which was recently voted one of the New Seven Wonders of the World. 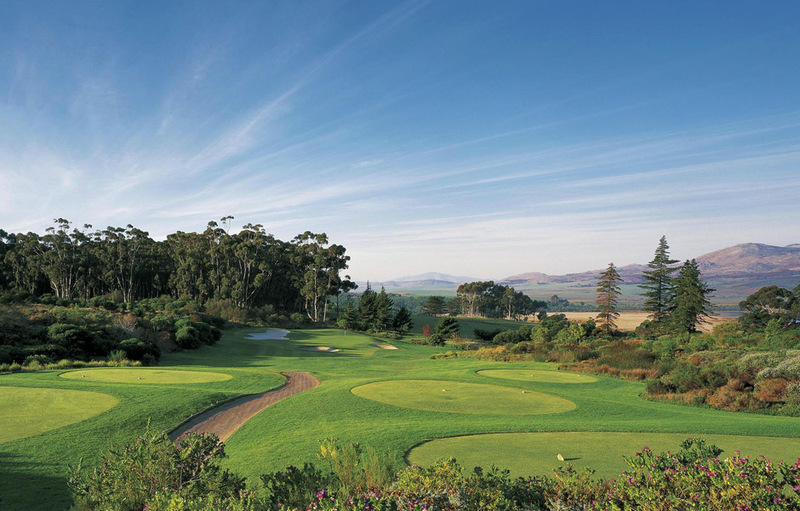 If you haven’t had enough golf yet, why not play one final round at the exceptional Steenberg Golf Course in Cape Town’s Southern Suburbs. You will be transferred back to Cape Town International Airport where you bid a fond farewell and board your flight back home. Terms and Conditions apply. Rates are subject to change.